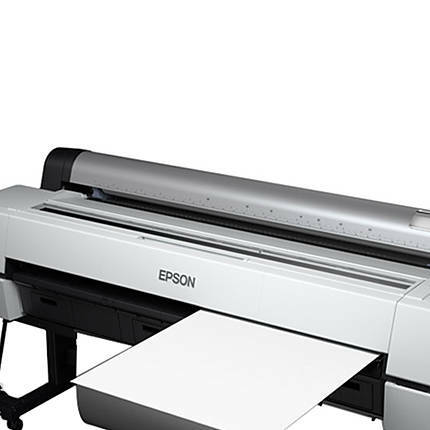 The maximum size of a print with optimum quality. This is the type of ink used in an inkjet printer. Most inkjet printers use liquid ink, whether it is pigment-based ink or dye-based ink. Pigment-based inks bond to the paper somewhat better than dye-based inks, reducing the likelihood that ink will bleed through the paper. 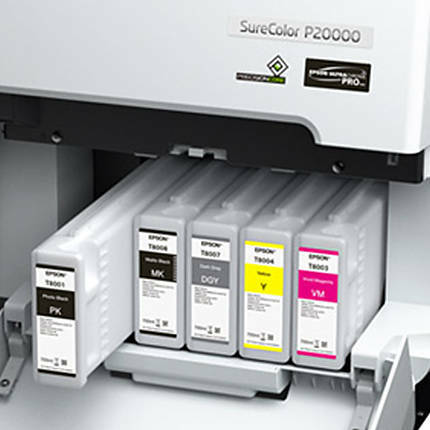 Dye-based printer ink provides brighter colors in a wider range but bleed-through is more common. Waterproof ink also is a popular option, because most liquid inks will bleed if the final product becomes wet. 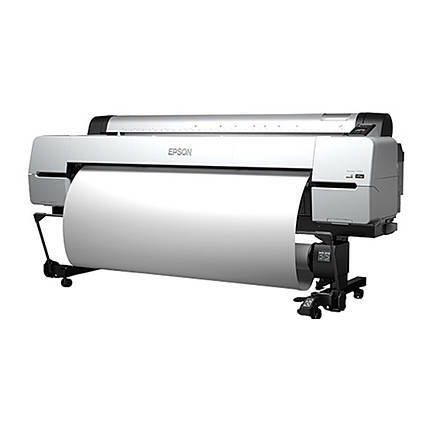 Designed for high-production fine art, photographic, and indoor display graphics printing, the Epson SureColor P20000 Standard Edition Printer is the perfect choice for everyone. It offers a high-performance 9-color archival pigment that is capable of producing high-volume photographic content. The all-new PrecisionCore MicroTFP printhead utilizes up to 8000 nozzles, which is essential for providing print speeds that are two times faster than the previous generation printer. 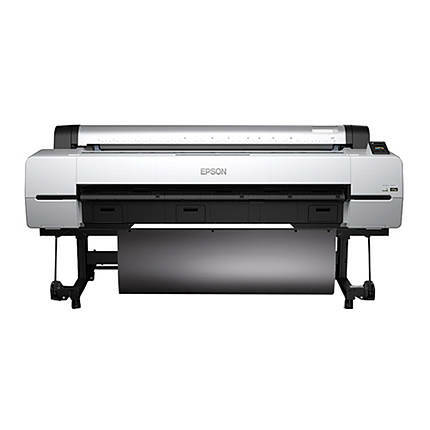 This printer comes with inks that are equipped with UltraChrome PRO archival ink technology for producing exceptional color prints that can last up to 200 years. Lastly, the standard Gigabit Ethernet and Hi-Speed USB connectivity, along with an internal 320 GB print server, offer an exceptional networking performance for multiple workstations. This the power consumption a device uses while in stand-by mode. This is the rated frequency of a device which refers to the periods permitted by alternating current and must be changed in one second in the alternating current circuit. This refers to energy-efficient products that reduce greenhouse gas emissions and other pollutants caused by the inefficient use of energy; and also offer savings on energy bills without sacrificing performance, features, and comfort. The type of printer technology. The archival quality of a print. Most fine art papers are considered archival quality, but not all papers have are acid-free. This is the configuration of ink cartridges in a printer. The ink cartridge configuration can affect the print quality. The minimum size of an ink droplet. Also referred to as DPI. Dimensions: 95 x 39 x 46"
The minimum operating system and hardware requirements to use hardware or run software.